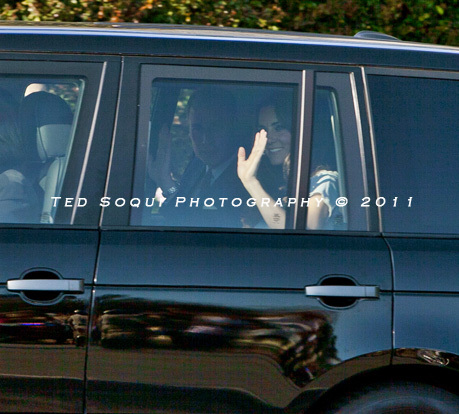 LA Photo: Will and Kate In L.A. Prince William and his wife Catherine drove up to the Hancock Park home where they will be staying during their L.A. visit. 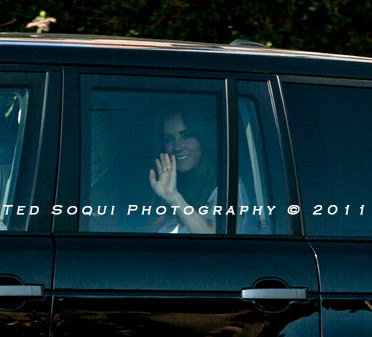 This is Kate's first visit to the U.S.
Will and Kate in the Rover. Both waived to the crowd as they drove by.